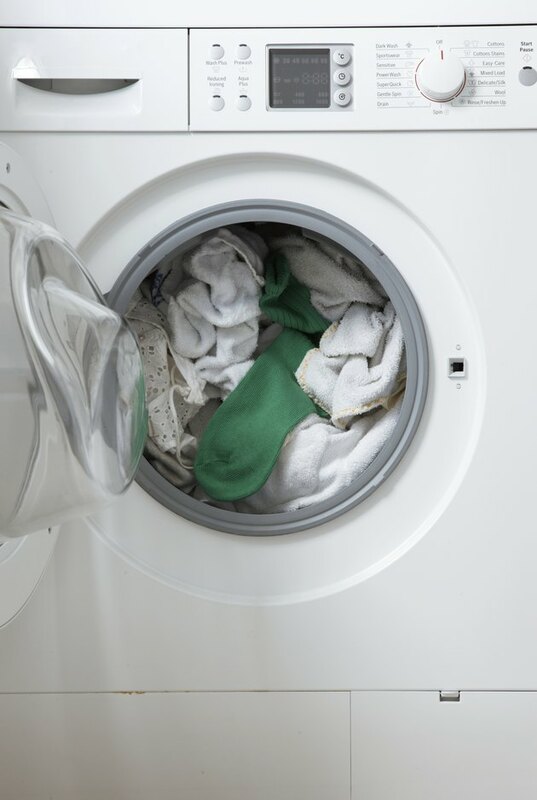 The door of your Frigidaire Affinity washing machine will eventually, through years of use, work loose from its moorings, causing a sag and making the door difficult to latch. You might need to tighten the screws holding the door hinge to the washer every few years to make it easier to start a cycle. In most cases a couple turns of a screwdriver will keep your washing machine door from sagging. Tighten the door screws to keep the door from sagging. Open the door as far as it will go to provide the best access to the hinge screws. There are three connecting the hinge to the washer and another three holding the hinge to the door. Tighten the screws with a screwdriver while supporting the weight of the door. It is not necessary to tighten the screws with an electric tool; hand tight is fine. Open and close the door to see if the alignment between the latch on the door and the connection on the washing machine has improved. Tightening the screws removes any sag that may have appeared over time.